Michael Dower began playing Social Sport at Monash University before going on to the National Championships. When Budgeting & Reporting Accountant, Michael Dower, joined Monash’s Social Netball Competition in 2013, little did he realise that just a few short years later he would be a team member in the Australian Men’s & Mixed Netball Championships. 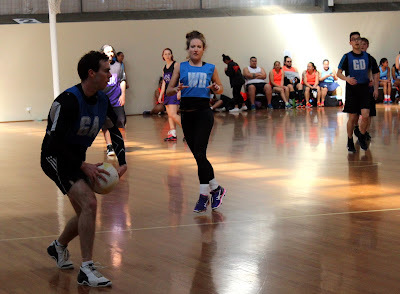 Michael played a couple of netball seasons in his younger years but it wasn’t until he moved to Melbourne in 2013 that he reconnected with the game as a way to meet people in his new home city. 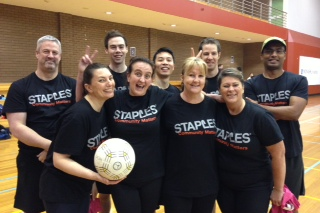 His initial return to the sport was in the Monash Games when he joined the Finance mixed netball team. He then continued playing Social Sport and a series of competitions and teams, including the Victorian m-league. 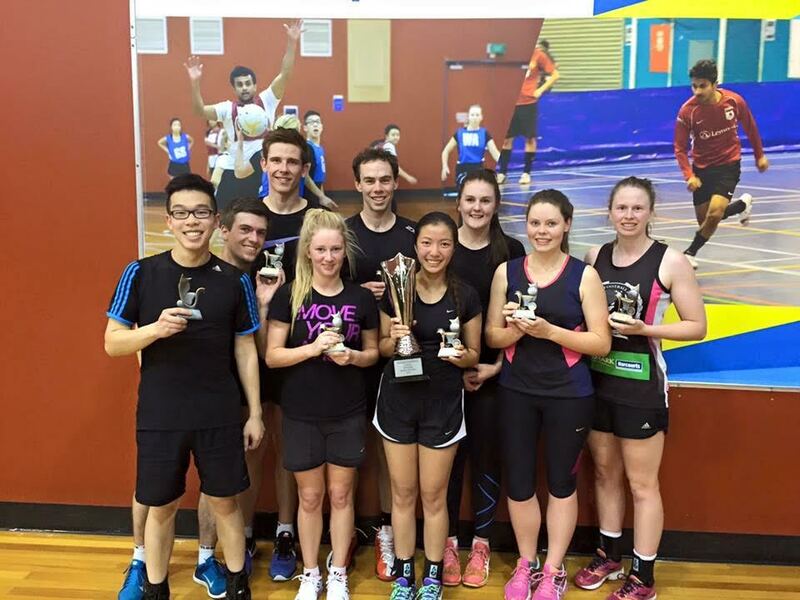 Michael and his team won Monash Sport's Champions League for Mixed Netball last year. When Michael saw the advertisement for the National trials and knew his coach was trying out, he was tempted too, “The hardest thing though was convincing myself to give it a go.” It’s a good thing he did because after trying out, Michael was selected for the Mixed team, one of five adult teams participating in the national competition starting 27 March at the State Basketball Centre, Wantirna South. Details of the competition are available on the Australian Men’s and Mixed Netball Association webpage. Should Michael and his team be successful, they will compete in the finals 1-2 April. If you’re interested in getting active, Monash Sport hold social competitions across Caulfield, Clayton and Peninsula campuses that are open to all levels of ability. Why not check it out – you might be like Michael and end up in a national championship! Doug Ellis Swim Shop Sale! New Fitness Equipment For The New Year! Monash AFL footy tipping competition - back for 2017!